Airman 1st Class Mitchell Guy removes a leading edge panel on an A-10 Thunderbolt II March 13 during phase maintenance at Eielson Air Force Base, Alaska. 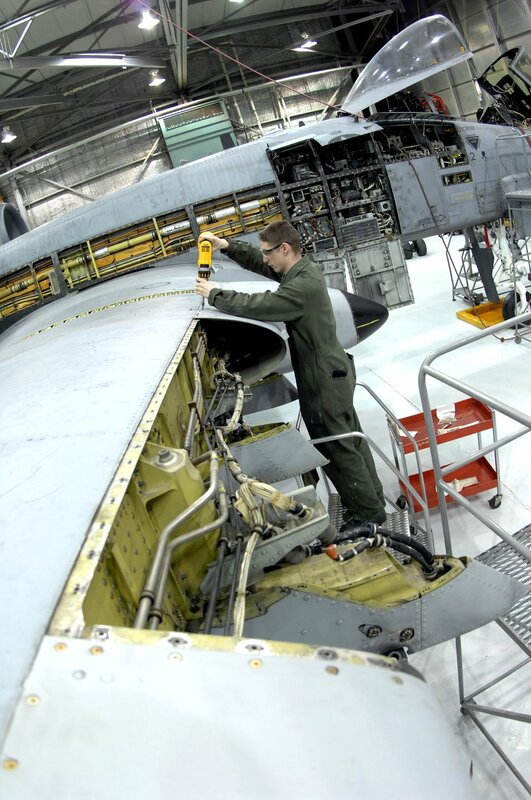 During phase maintenance, Airmen overhaul the entire aircraft to ensure it is ready for safe flight. Airman Guy and the other maintainers in the 345th Aircraft Maintenance Squadron can turn an A-10 around in 10 days.